In this fascinating video, Krista Tippet, host of NPR's Fresh Air, interviews Gabe Lyons and Jim Daly. Lyons is co-author of UnChristian, author of The Next Christians and founder of Q, a TED-like gathering for Christian culture-makers. Daly is President and CEO of Focus on the Family. Together they discuss the diverse Evangelical approaches to public engagement in politics and culture. 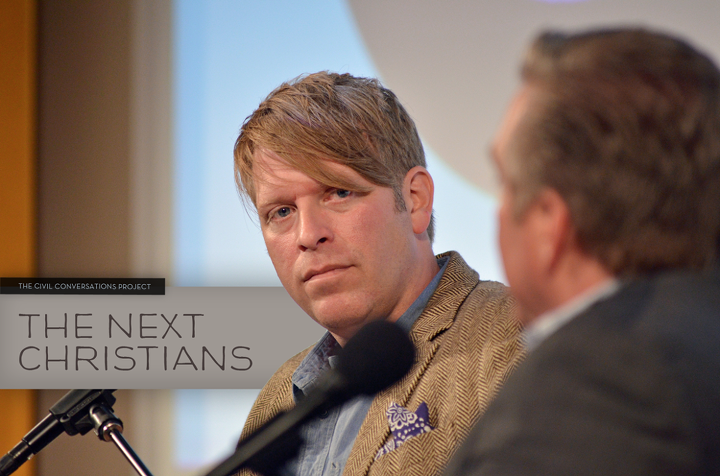 It's a fascinating, and at points hope-giving look at one potential future of evangelicalism. I will say I was a bit let down that there wasn't more (evident) disagreement between the guests. You may want to skip the first 6 minutes of set-up. The Next Christians ~ In the Room with Gabe Lyons, Jim Daly, and Krista Tippett from On Being on Vimeo. Thank you for posting this. One of my favorite listens in a while. It was super encouraging to listen to. I think Krista Tippett is doing a great job introducing Christians that I am sure much of America would like to hear from more. Do you have a large gathering for Christmas Day with all your friends and family? The hat games is a lot of fun for large groups. become ordained online As each guest arrives, hand out a Santa Claus hat. Fascinating is indeed the best word to describe the video. Watched it and I was really amazed. Now, I am motivated to write essay samples.